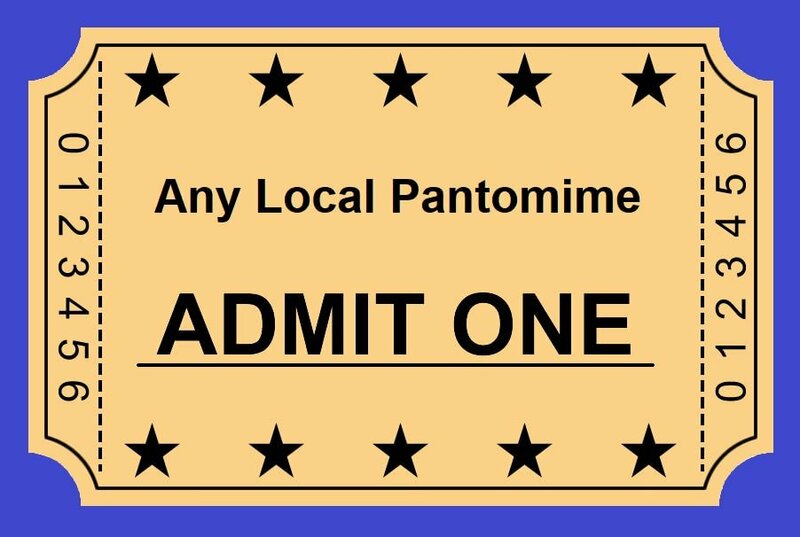 Is your panto audience declining? No panto group likes to see their audiences fall and can sometimes be at a loss to explain why it’s happening. If your group has experienced a recent downturn in audience numbers, don’t panic! There are some things you can do that might help to arrest the decline, and hopefully attract more audience members. It is based on our personal experience with a large panto group in Sheffield, plus hints and tips shared by others. Audiences will always fluctuate, whether it be at sporting events, music concerts, theatre, cinema, or dare I say it, watching television programmes. And pantomime audiences are no different. It can even depend on things outside of your control, such as how well people are doing financially – even though amateur theatre is fantastic value for money. If your group is experiencing a continuous downturn in ticket sales, the first thing to do is to try and analyse what if anything, is going wrong. And more importantly, what can be done to rectify it. Most amateur pantomime groups will have a loyal core audience, but they must never be taken for granted. They should be cherished, praised constantly and encouraged to come back time and time again. No group should ever become complacent and take their audience for granted, and expect them to put up with sub-standard scripts, or a poorly performed show with a poorly dressed cast and bad scenery. Amateur theatre is usually very local-based, and sometimes small changes can affect crowds either adversely or positively. Many groups are flourishing, whilst others are diminishing. Our own panto group in Sheffield went from audiences of around 300 per performance and almost 2,000 overall for eight shows, including 2 matinees to some shows barely attracting 100 and overall figures down below 1,000. At which point they dropped one of the performances altogether. One of the reasons we heard from customers, was that they had grown tired of seeing the same cast playing the same roles in the same way year after year, and it had become a bit stale and predictable (they obviously don’t know how hard it is to attract new members, especially male ones). However, even if you are struggling with membership, try and freshen things up a bit by rotating what cast you have between different characters. I personally have seen a man who played a baddie role for many years, unexpectedly and due to necessity, become a surprisingly good dame. When it comes to singing roles, panto audiences are very forgiving. However, nobody likes shuffling awkwardly in their seat, because somebody who couldn’t hold a tune in a bucket has been given a song as a solo or a duet. I have personally heard an audience member telling a producer in no uncertain terms, that they would ‘not be returning if you give that girl another song’. I once heard of a large Girl Guide group in Sheffield who stopped going to a local panto, because their leaders thought it had become ‘too adult and rude’. People expect double-entendres and picture postcard humour. But as pantomime publishers and regular panto goers ourselves, you wouldn’t believe some of the stuff we’ve seen. Much of which would be more suited to a Jim Davison style adult panto, than a family audience. When writing our own scripts, we always try and make them family friendly. However, we do recognise that a one-size-fits-all attitude, isn’t always practicable. Therefore, we are happy for any group to tailor our scripts to suit their own needs. If any large groups such as, Brownies, Scouts or Cubs have been regulars for years, and then suddenly stop coming. Find out from their leaders, if there is a reason why they have stopped coming. If it is merely financial, then perhaps they could be offered group reductions. If you already offer group reductions, then see if they can be made even better. If your group membership is falling, then advertise for new members in local newspapers or radio. Dress a few of your cast up in costume and have them stand outside the local shopping mall, talking to people and handing out leaflets. Hand balloons and free lollipops out to young children and at the same time, try and convince their parents that their kids would love to see them onstage. Even if the initial response to all these methods is disappointing, don’t give up! Our own group advertised for backstage people to help make props and only had one response. But that one response gave us a married couple who turned out to be brilliant prop-makers and one went on to become the stage-manager. And fifteen years later they are still doing the job. Does your group have a youth section? Many groups find it difficult to attract young people as members, especially young males. However, some groups are flourishing due to the fact that they have a youth theatre section. This section will usually perform a youth show, which is generally a modern musical. But there are some who put on another panto that is a different to the one being performed by the main group. A youth section will provide members for both the youth section and the main panto, as well as widening the scope for selling tickets. Now, I accept that if you are a small group located in a small village, then having a youth section might appear fanciful. But most villages in the UK are within a short car journey to more built-up areas, so it might not be as hard as you think. Me and Jackie became members of a large Community Panto, which is located in a village on the outskirts of Sheffield. However, both then and now, only a very few of the members of the pantomime group actually lived in the village itself. We also lived outside the village. The group didn’t have a youth section, but they did have two large children’s sections within the panto group. The main problem was that everybody only ever met up for the few months it took to rehearse and put on the panto. As soon as the panto had finished, most people didn’t see each other again for another seven or eight months. Jackie then decided to start up a summer variety show, to give everybody something else to do in between panto’s, and to keep the interest (especially of the younger members) going throughout the year. Auditions for the variety show were open to anybody and were advertised as such. This attracted many people from outside the village, and some even went on to join the pantomime group. Does your group hold auditions for parts? Many amateur groups are happy for a producer or a director alone to do all the casting, and if that works for your group, then all power to you. However, not having auditions can cause problems for some groups and can even mean they lose members and struggle to have enough people to put on a show. As an ex-producer of panto’s, I have every sympathy for whoever has to cast the parts for a show. I know from personal experience that in any group, some people will always believe that a privileged few are getting all the best parts, whilst they and others are being overlooked. One particular group I know, was blessed with having plenty of eager young members, but because they never got the chance to play even a small speaking role via auditions, most of them left when they reached their teenage years. And it became quite apparent the some of the more experienced actors, seemed more interested in amusing themselves on stage with in-jokes, rather than entertaining the audience. When I began producing panto shows, we had our three daughters in the show. So to make sure I couldn’t ever be accused of bias, I had an audition panel consisting of myself and two independent people from outside of the group. Does your group have a social media presence? Social media can act as a way of getting group members to interact throughout the year and can also bring new members to the group. 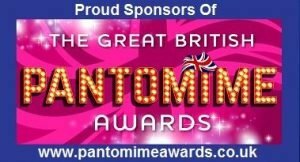 Many panto groups now have a presence on Facebook and Twitter, which can be a wonderful way to get group members interacting with each other. As well as attracting new members and promoting the group’s latest show. However, any social media pages need to be managed well and not left dormant for ages. I have seen some group websites, and Facebook pages where the last post was several years previous. That is probably worse than having no website or Facebook page at all. Of course, many groups will be doing all the right things and still see a downturn in ticket sales, and we certainly wouldn’t claim to have all the answers. But hopefully we have at least provided some food for thought. Always start your show on time. People who have arrived in plenty of time, will shuffle in their seats if they must wait on a few latecomers. If you feel the need to delay because of a big queue at the ticket office, then inform the sitting audience and encourage people coming in to take their seats as quickly as possible. Give customers an idea as to the finish time and try and stick to it. People will have taxis and buses to catch. Encourage your actors to stick to the script. Ad-libbing is fine if only done by one or two main characters. But if everybody is doing it, it will extend the finishing time. Always choose a script that is family friendly. If you must raise ticket prices (and we all must at some point) then make the rise small and often rather than leaving it for 4 or 5 years, and then suddenly increasing it by a large amount. Try to involve as many young people in your group as possible, as dancers and chorus. They will have parents, grandparents, siblings and friends who will buy tickets. In our own group, ticket sales went down when the younger members decreased and went up again when the younger members increased. They may also be future principals. Most amateur groups don’t have a large wardrobe and props budget, but you should try and have the best costumes, scenery and props you can afford. Part of the attraction of panto, is the expectation of seeing colourful scenery, costumes and props. Pay attention to detail, such as using a good quality panto animal (the ‘aaahh’ factor always goes down well with audiences) rather than a homemade job. Have a Dame character who is able to do a ‘stand-up’ slot. Use comedy duos capable of slapstick and comedic timing. Don’t give songs to actors who cannot sing. Make sure the chorus always smile during any comedy scenes or musical numbers. If they look as though they’re not having fun, that will translate to the audience. Never take your audience for granted and believe they will put up with any old rubbish. These are your usual supporters and deserve to be treated with respect. Try and use live music and an MD (even if it costs). If you do use recorded music, then make sure that you have a good sound technician who is up to the mark. Don’t make your interval too long (15 minutes is the norm) and offer as good a selection of hot and cold drinks and snacks as you possibly can. Try and not exceed two and a half hours in total. At the end of the show, make sure your stewards are helpful in seeing customers out. 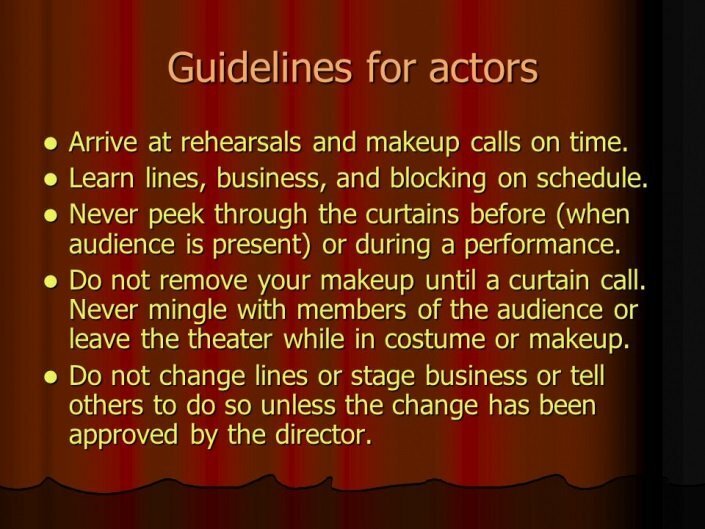 And last, but not least, resist the temptation to use a DIY script (see below). When the time comes to choose a script for your next panto production, please beware of the closet script writing genius that almost every society, large or small, seem to have in their ranks. Okay, so it saves on the script royalties as such – but is this really the best reason for placing your next show in the hands of a complete novice? Would you consider letting your spring show be written or compiled by a wannabe? Would you trust the reputation of your society to the whims of an amateur? Your pantomime audiences are going to pay good money and deserve the same standard of material and performance as a carefully considered spring or autumn show. Pause for a moment and consider the implications, as getting it wrong could cost your group much more in the long run, than they might save in royalties in the short term. 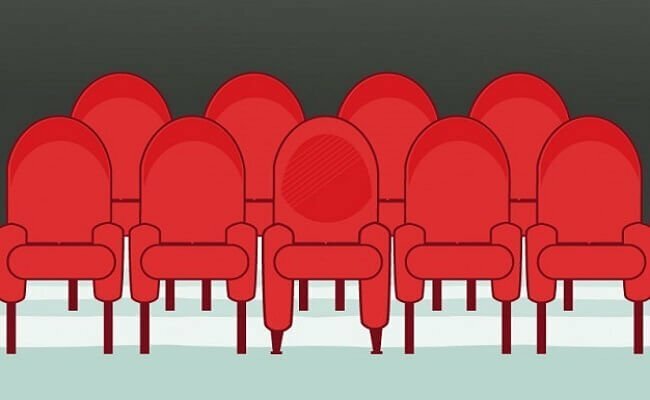 Most first-timers ‘new scripts’ can only be judged by audience reaction, and that is taking a big chance on the unknown. Almost certainly it will be too long with protracted plots and lack of continuity. It is a fact that audiences are influenced by the last show and need to be treated with respect. A poor production can damage a group’s hard-won reputation that could take years to repair. Of course, it is just possible that the amateur writer in your midst may have come up with a real masterpiece. But the chances are, they haven’t. Remember, it is always easier to adapt a tried and tested script from a reliable source to suit your group’s needs, rather than using an amalgam of ‘bits’ from pantos performed over the years. Old jokes and routines are fine in their place, but originality is key to a truly successful show.